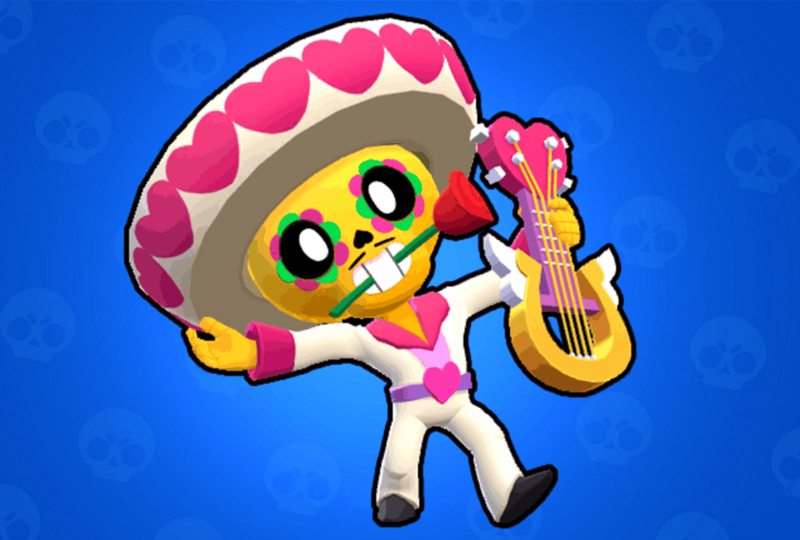 The Bandita Shelly skin can be purchased for 30 gems. 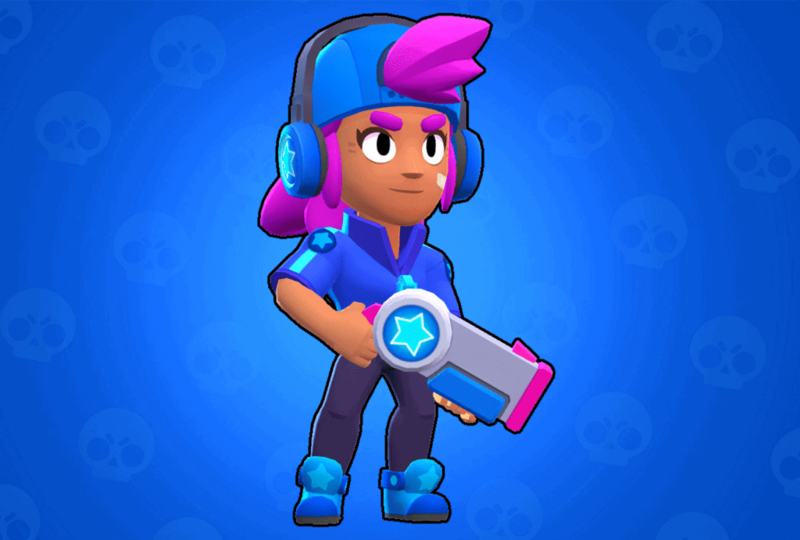 Star Shelly was a gift for those who pre-registered for the game before 2019. It is no longer obtainable. 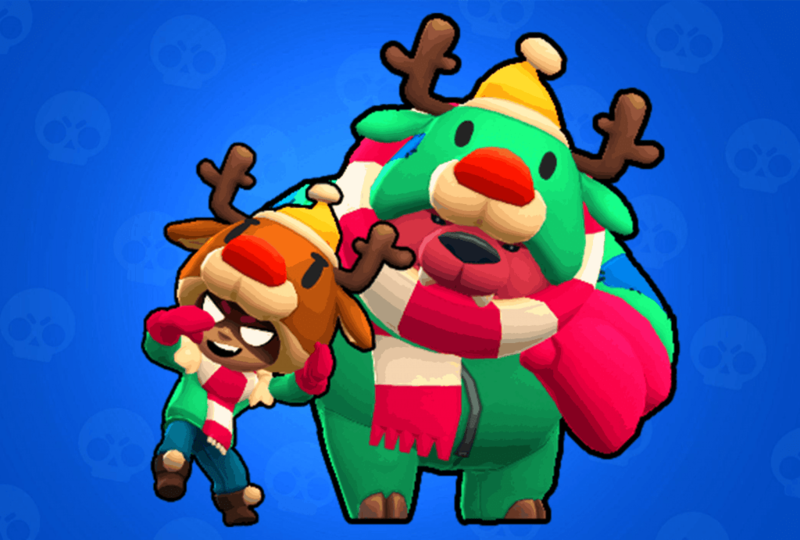 Red Nose Nita is a special christmas skin that went for sale in christmas of 2018 for 109 gems. 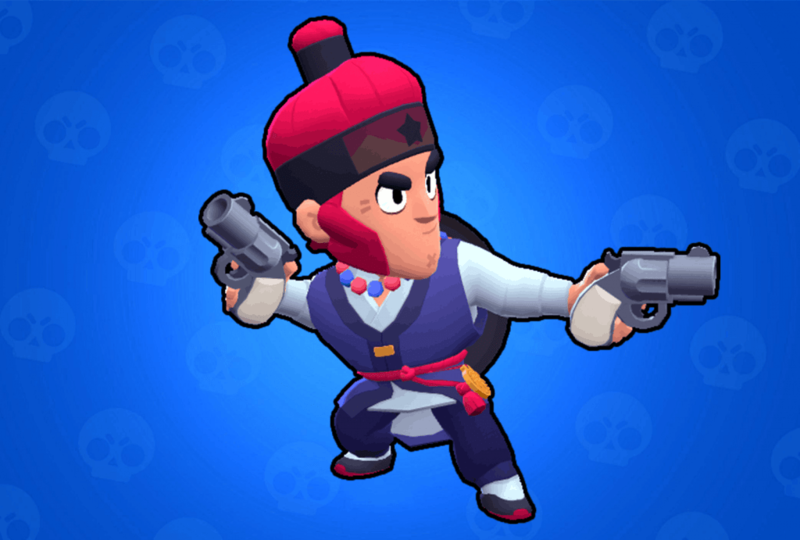 The Royal Agent Colt skin is a limited time skin which was avaiable during the Lunar Chinese new year event in 2019. It was listed at 150 gems. 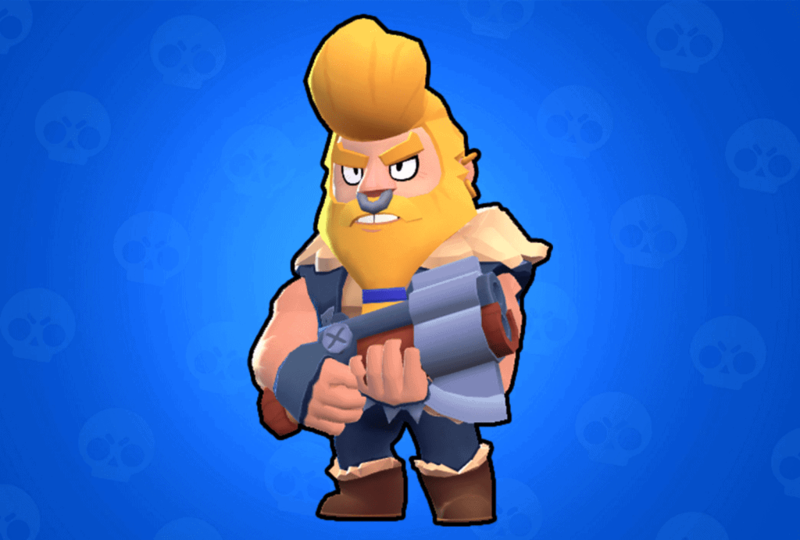 The Viking Bull skin can be purchased in the game for 80 gems. 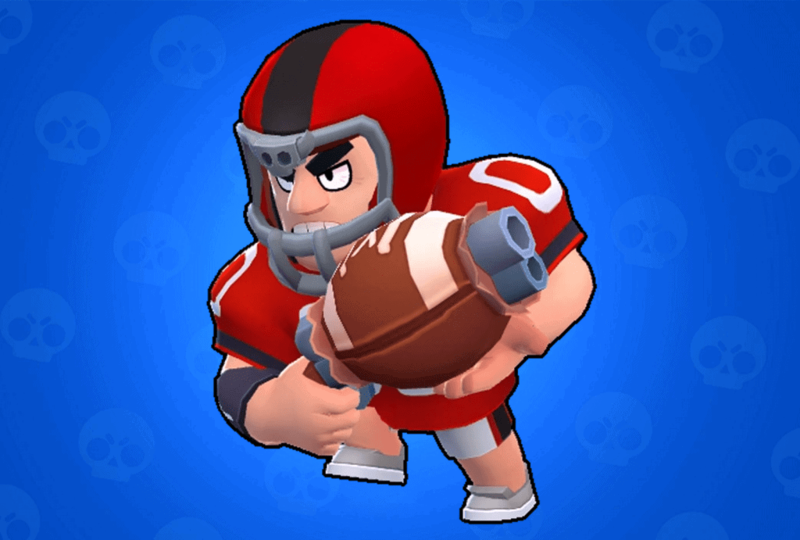 Another Bull skin is Touchdown Bull which is also available for 80 gems. 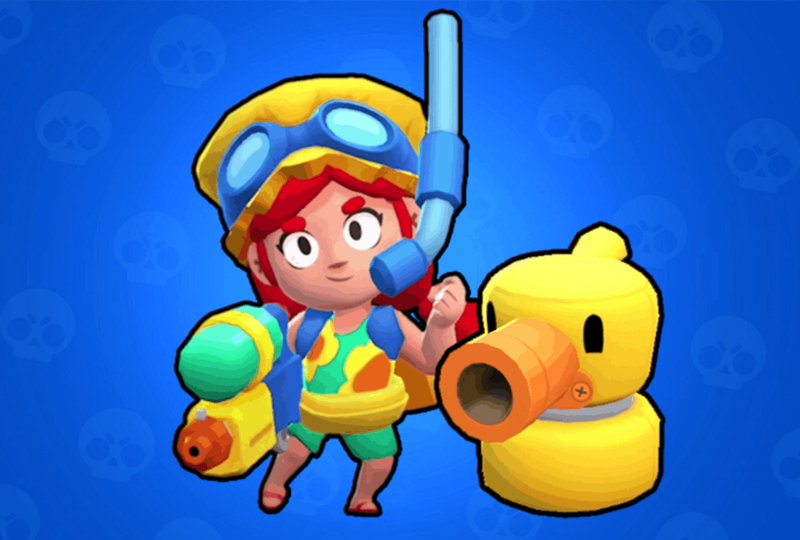 Jessie’s summer skin can be purchased for 80 gems. 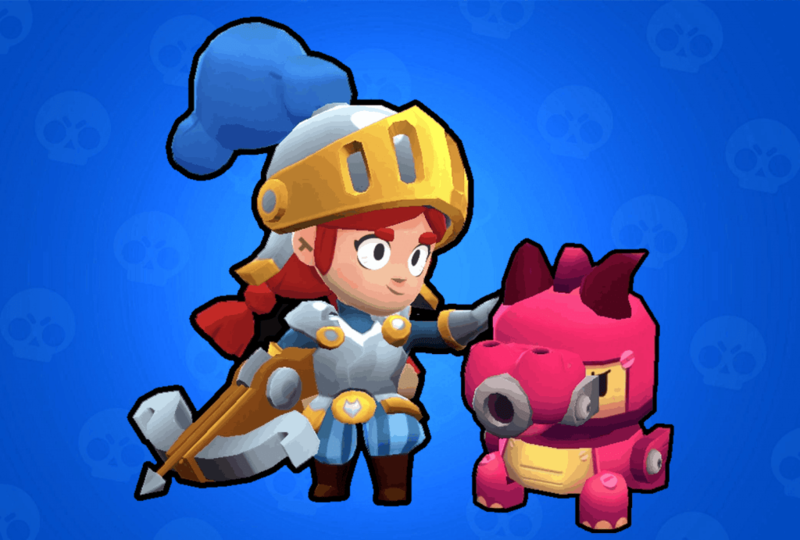 The Dragon Knight Jessie skin can be purchased for 150 gems. 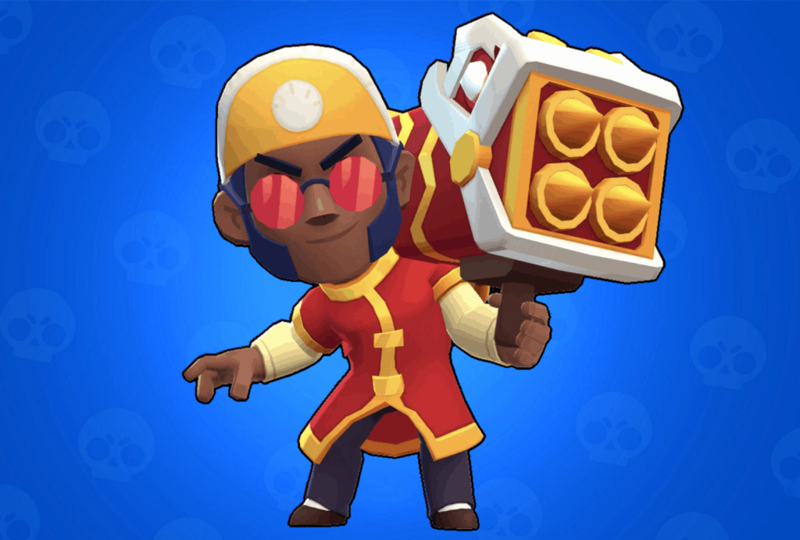 Lion Dance Brock is a skin that was available for a limited time during the Lunar Chinese new year event. 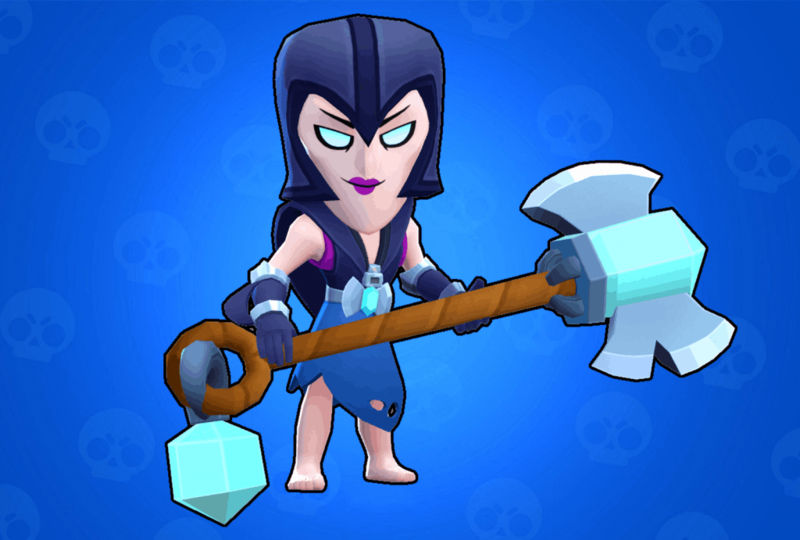 It was listed at 150 gems. 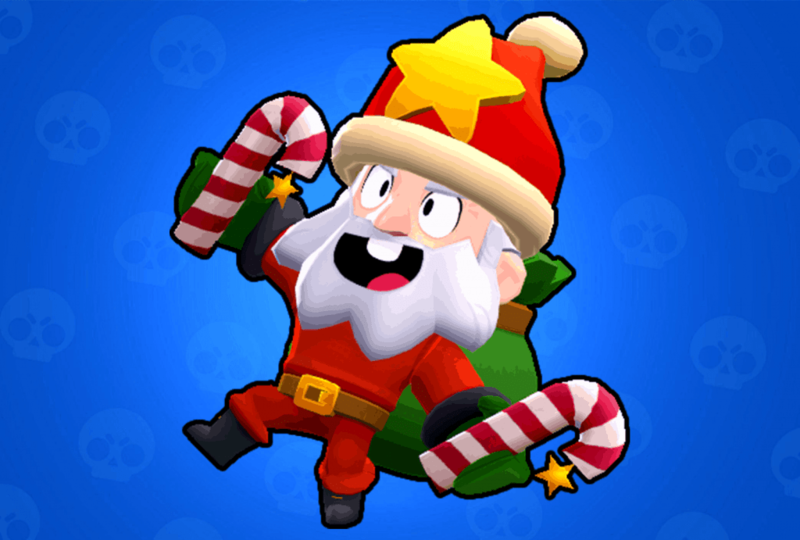 The Santa Dynamike skin was available during a limited time at christmas in 2018. It was listed at 59 gems. 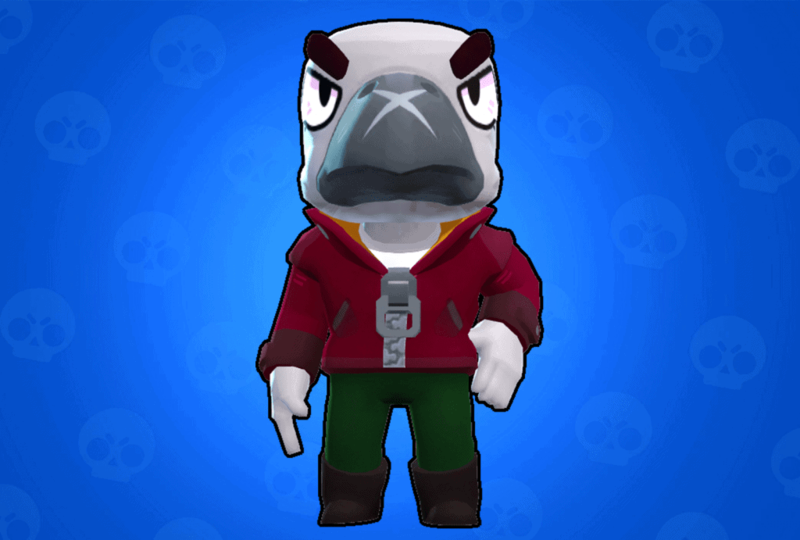 Bo currently has no skins. 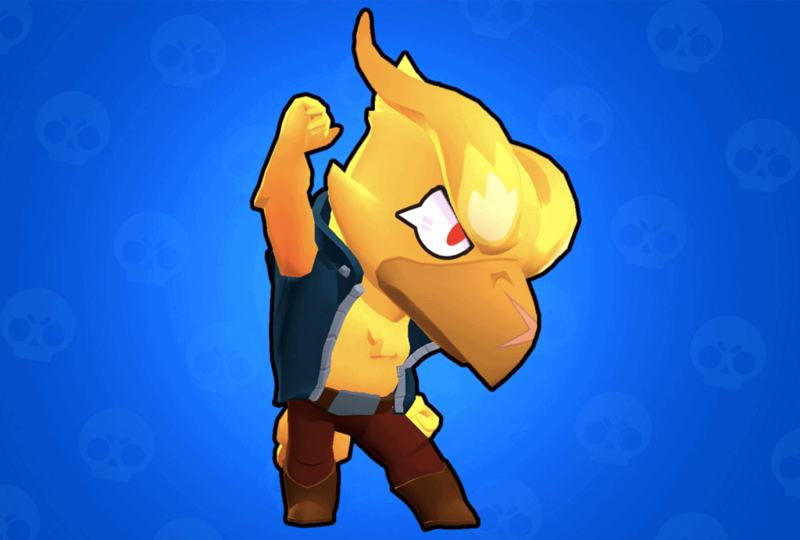 Once a Bo skin is released we’ll update this post. 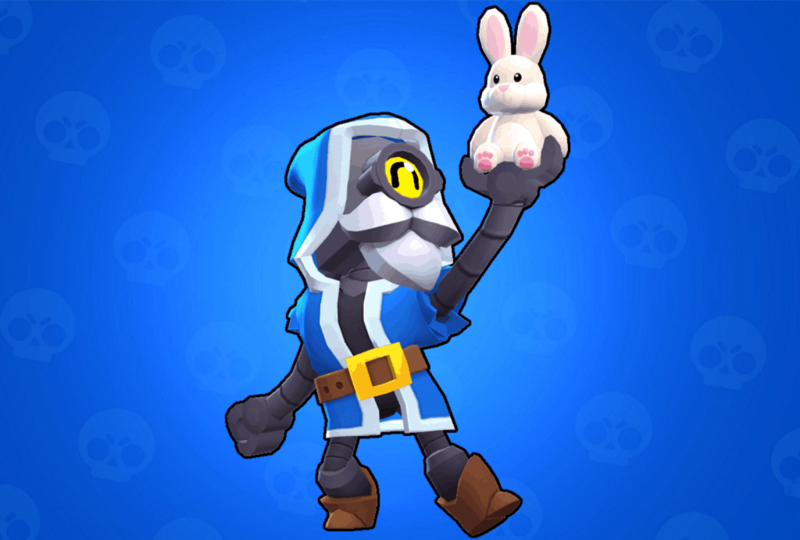 The Wizard Barley skin is unlocked by linking your supercell ID to Brawl Stars. 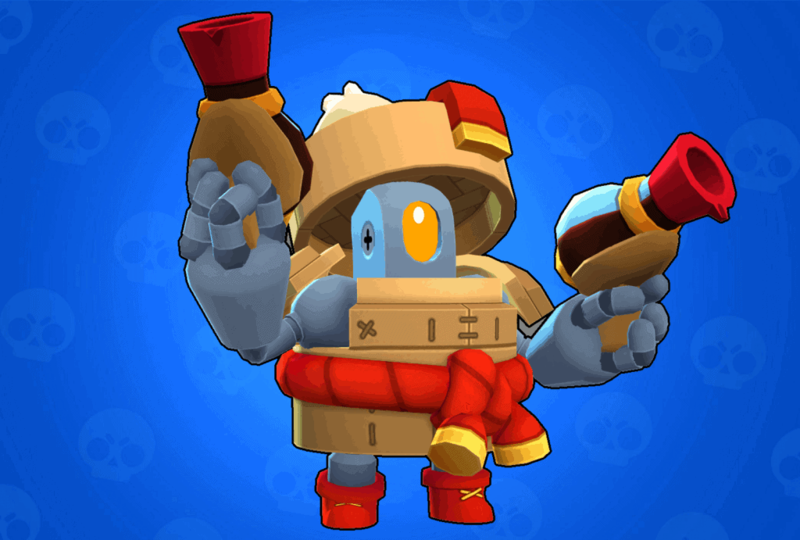 The Dumpling Darryl skin was also part of the Lunar event in Brawl Stars. 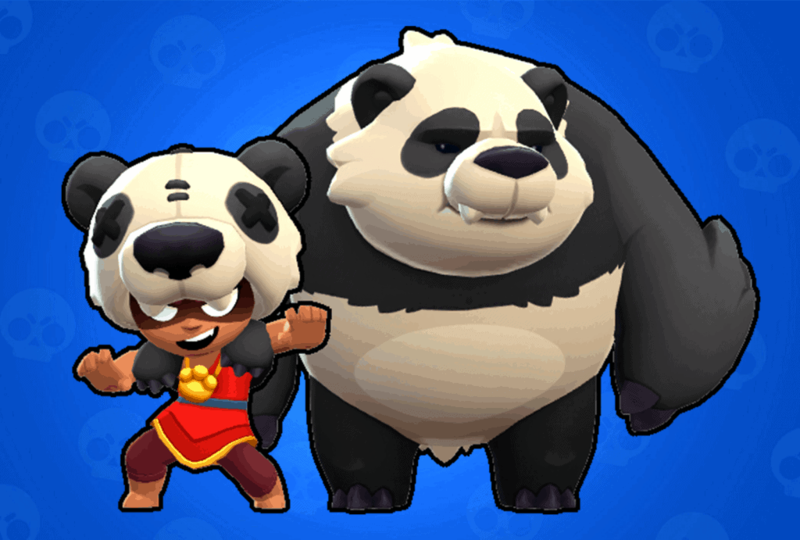 It was available for a limited time at a cost of 80 gems. 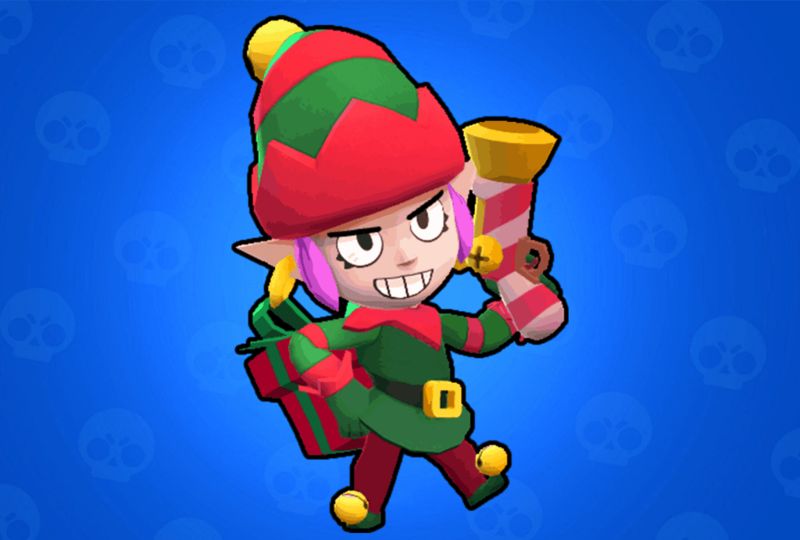 Lil Helper Penny was part of the Christmas event in 2018. 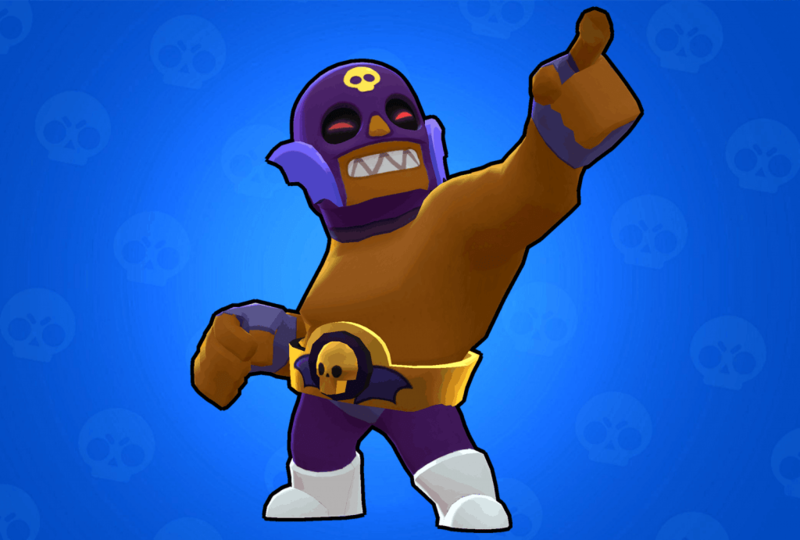 It was listed for 59 gems. 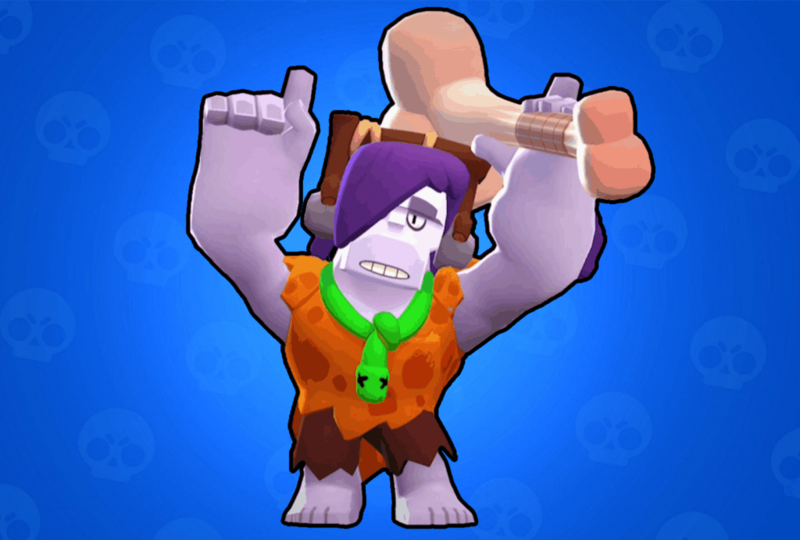 Piper currently has no skins. 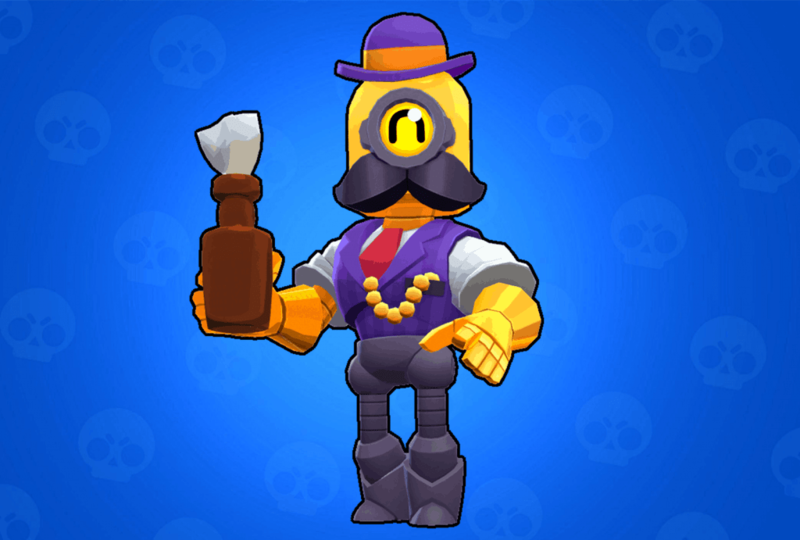 Once a Piper skin is released, we’ll update this post. 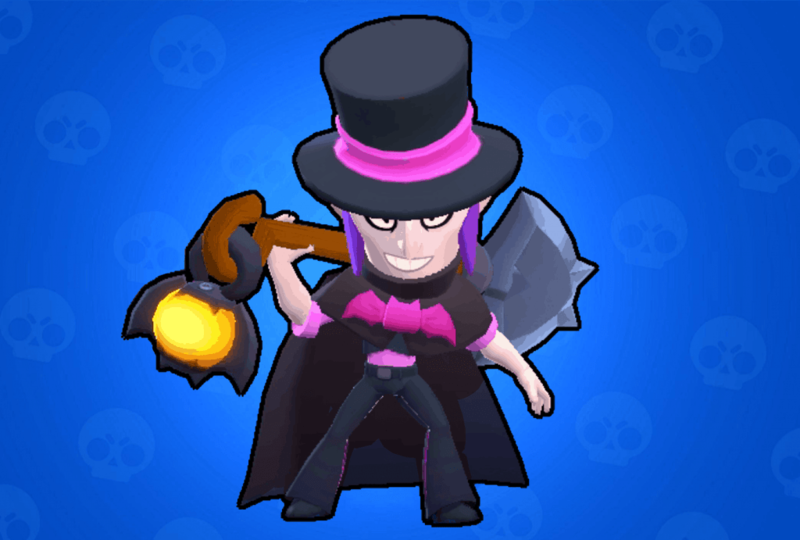 Pam doesn’t have any skins available at the moment. Once a Pam skins is relased, we’ll add it to the post. 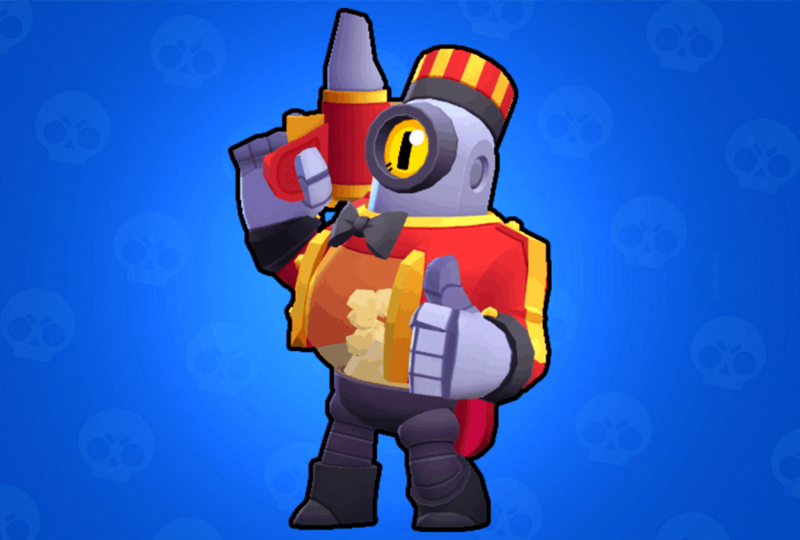 Top Hat Mortis is a free alternative skin. 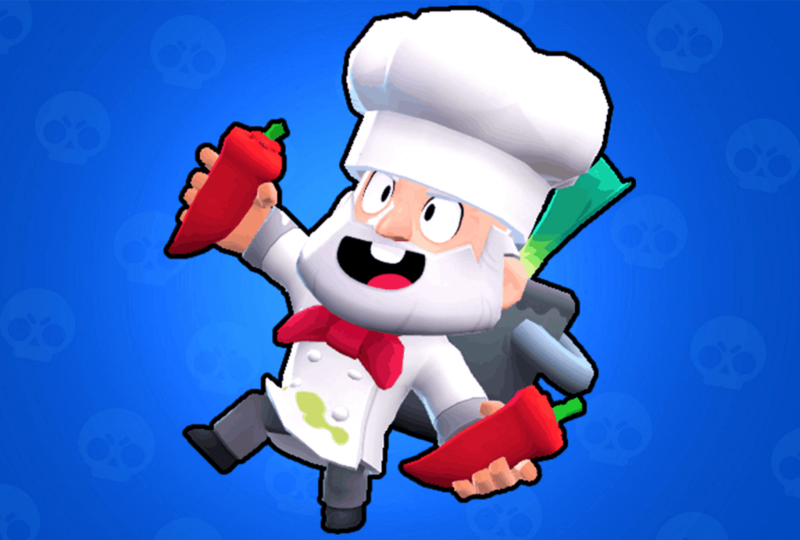 This was once the default skin, but was later reworked. 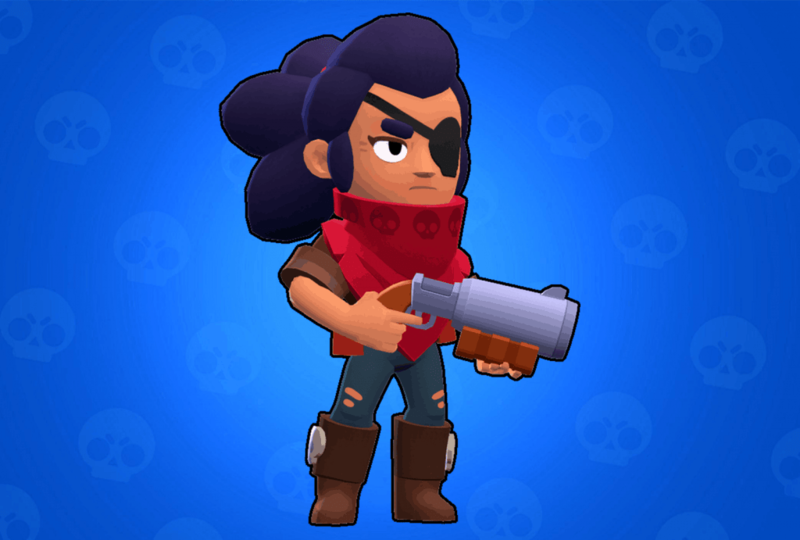 Tara currently has no other skins that the default one. 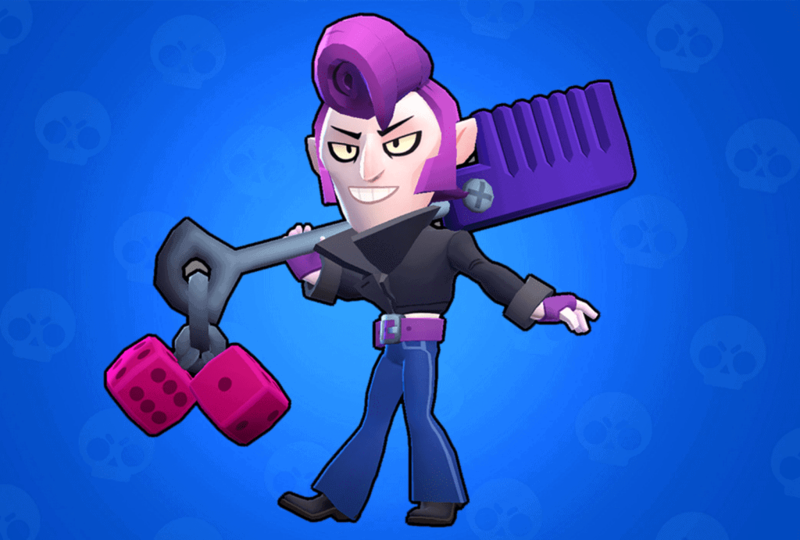 As soon as a Tara skin is relased, we will update this post. 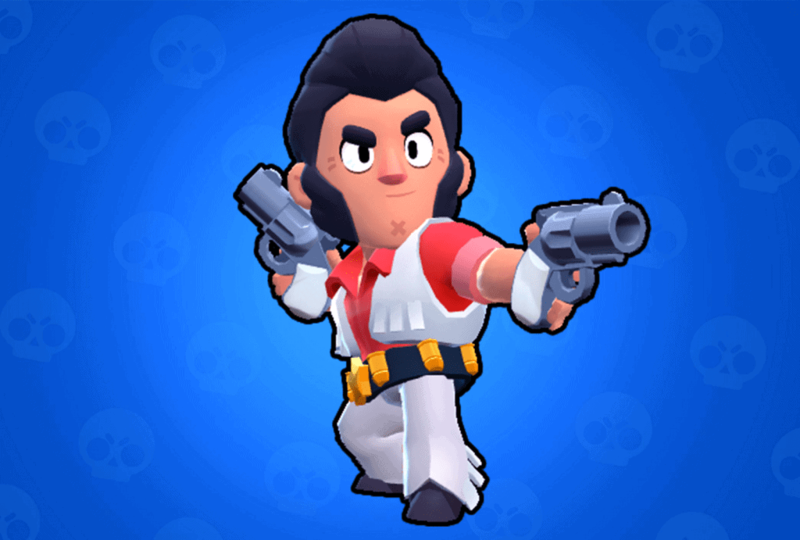 Gene currently has no skins. 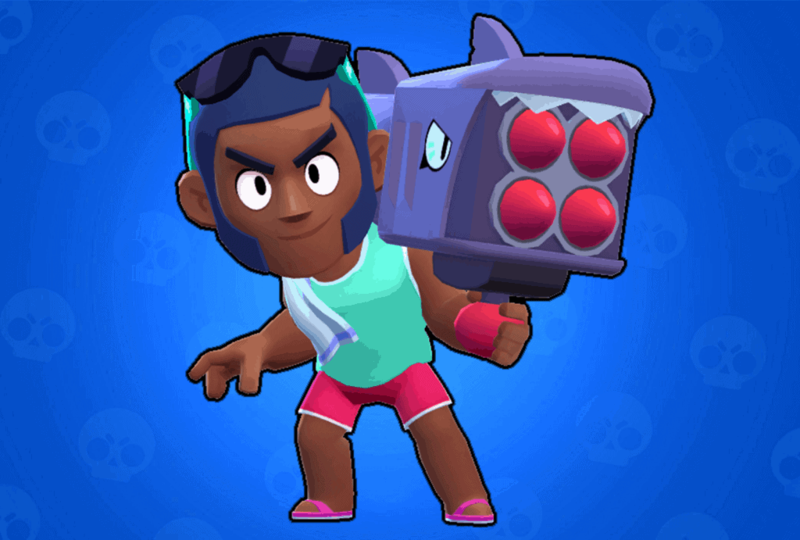 We will add any new Gene skins to this post as soon as they are released. 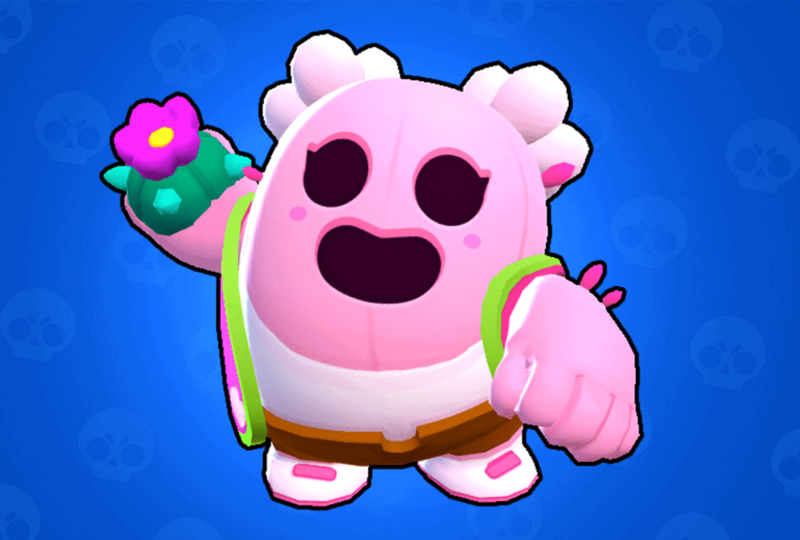 You can purchase the Sakura Spike skin for 80 gems in the game. 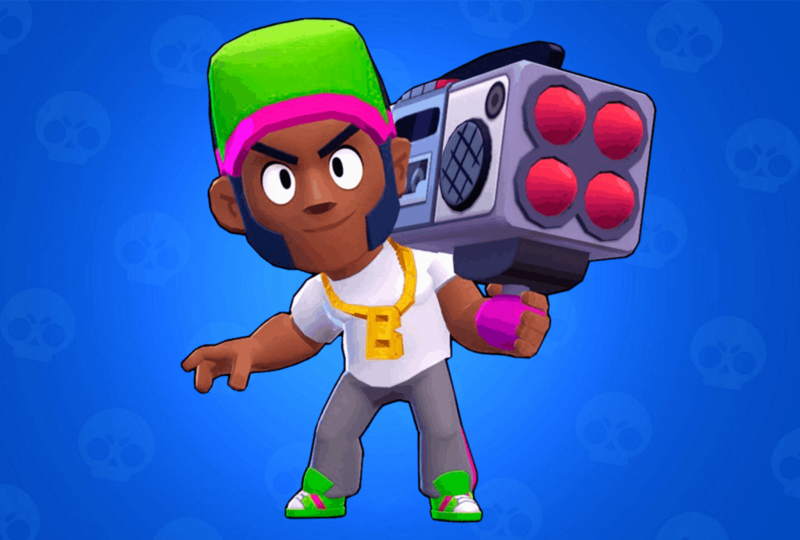 Leon currently has no other skins that his default one. 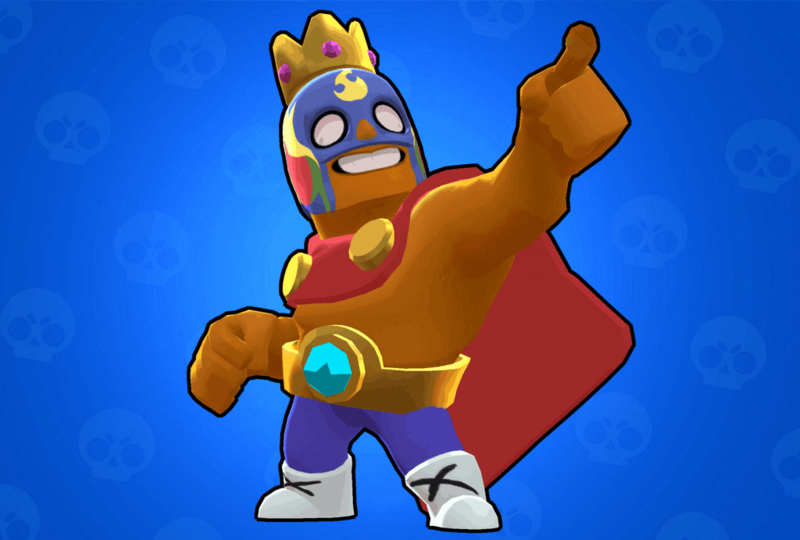 When a Leon skin is released, we’ll update this post. Carl has no skins at the moment. 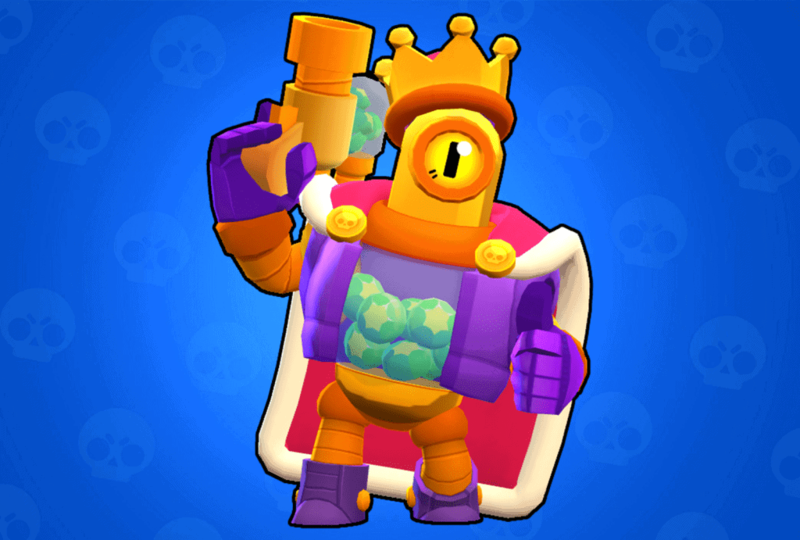 Once a Carl skin gets released, we will add it to this post.